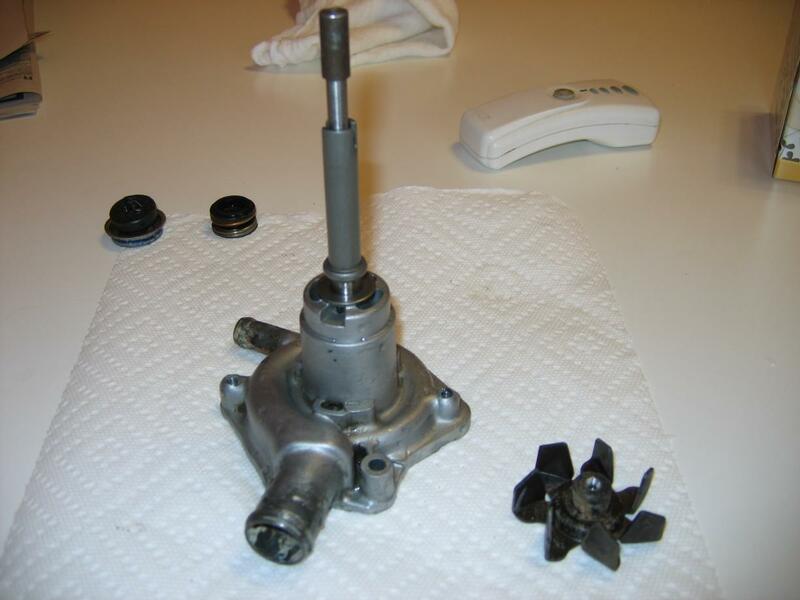 Well, the water pump will indeed come apart, at least as far as getting the rotor and shaft out. As far as getting the seals out (there are no bearings in this pump), the #1 problem is the little thin, tin piece that separates the water passage from the weep hole. The blue lock-tight makes it impossible to remove without damaging it. Now, it MIGHT be possible to heat the entire housing up hot enough to make the lock-tight turn loose, but I'm sure that would destroy the rubber seal that is in the weep hole area. 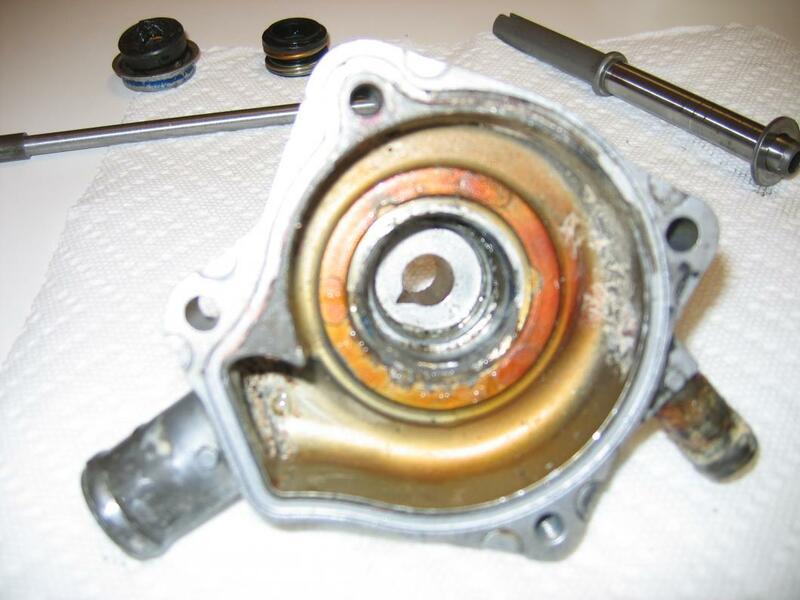 That MIGHT not be an issue as it looks like a regular shaft seal (I'll be going to a bearing supply store Monday to try matching the seal). If so, then full disassemble might be feasible. I'm going to attempt making an aluminum insert to replace the tin metal piece and install a standard seal. If it works, yay, if not then I'm not out anything. You need a 1/4" steel rod (I had some 3/8" and turned it to size). 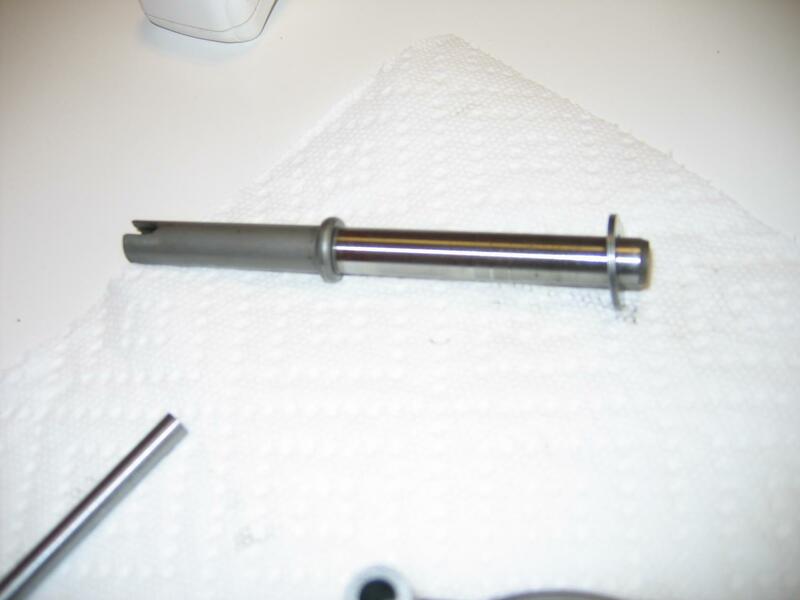 Put the pump in a press and slowly press the rotor off the shaft. 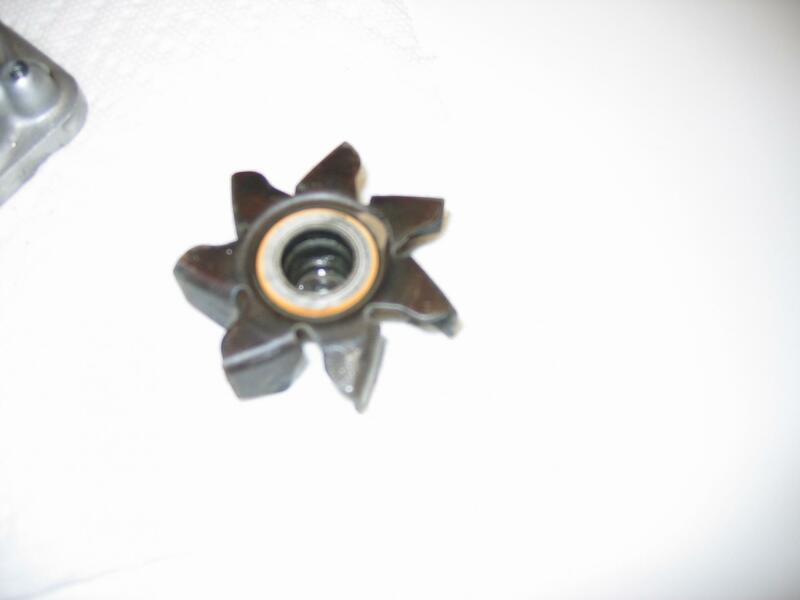 It's really simple and provided you are careful about it, it doesn't damage either part (ignore the hole in the middle of my rotor....I drilled that to discover that the shaft was indeed hollow throughout). When you get ready to reassemble it, just press the rotor back on the shaft. For most people, I do agree that disassembling the pump really is rather pointless. They are going for as little as $25 on ebay so unless you want to powder coat the pump housing (which I'm not sure you could do unless a feasible solution can be found to get the rubber seals out of it), it's really not worth the effort/risk that it might leak. But.... at least it "can" be done. 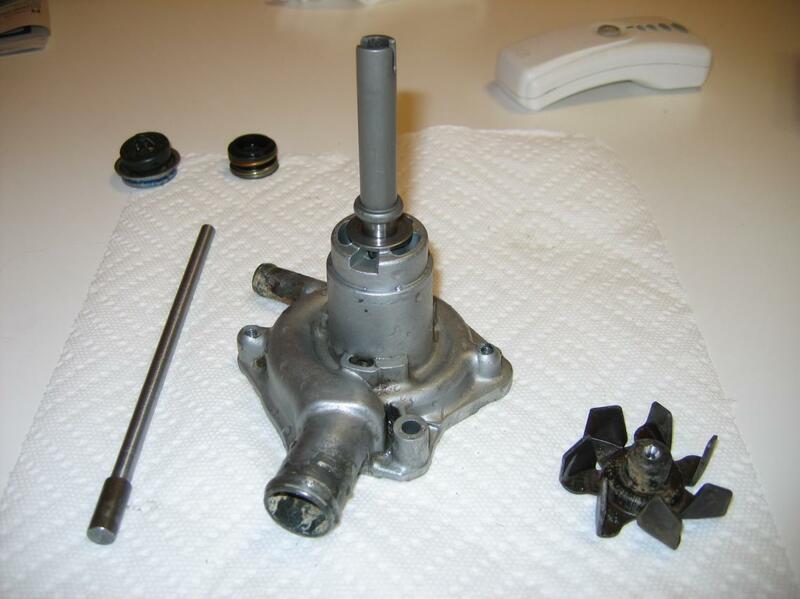 How to Disassemble F4 water pump?